Build a custom console to AWS services in which you access and combine features across regions and services to best meet your organizational or project needs. Use Amazon Cognito Identity to enable authenticated user access to your browser applications and websites, including use of third-party authentication from Facebook and others. Use Amazon Kinesis to process click streams or other marketing data in real time. 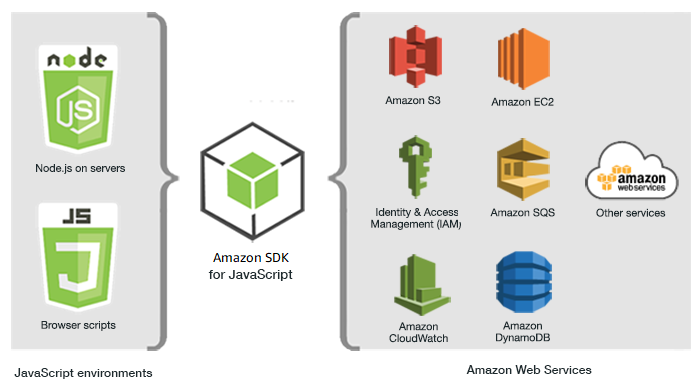 Use Amazon DynamoDB for serverless data persistence such as individual user preferences for website visitors or application users. Use AWS Lambda to encapsulate proprietary logic that you can invoke from browser scripts without downloading and revealing your intellectual property to users.